If they can't even stay out of my timeline than I'm gonna use it against them. More people need to know about Phil's place anyway. Next time I'm mentioning the Nook too. Should have done that too. (10-06-2014, 04:55 AM)Agravic Wrote: Nice! Well Phil does distribute P&G products (Art of Shaving) so I'm not sure it is a total backhand slap, but well played nonetheless. I'm not on the facebook, so maybe I am missing something. What was Gillette's post? Here is the original post. 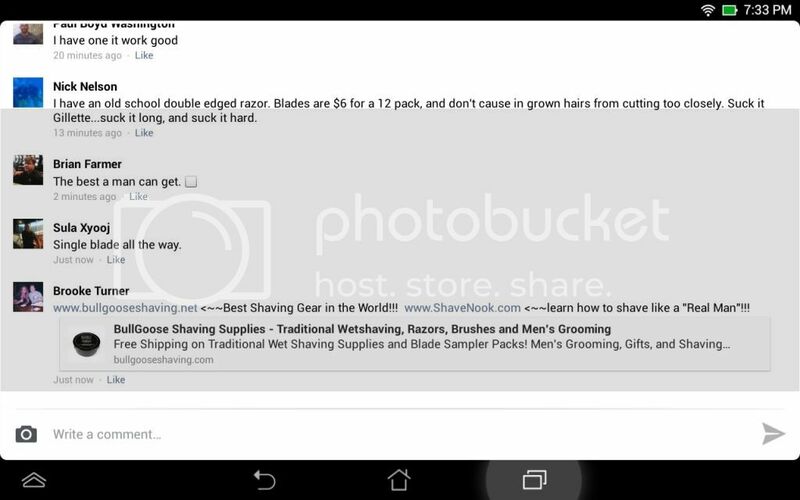 An ad for the latest piece of crap razor Gillette is shoveling. 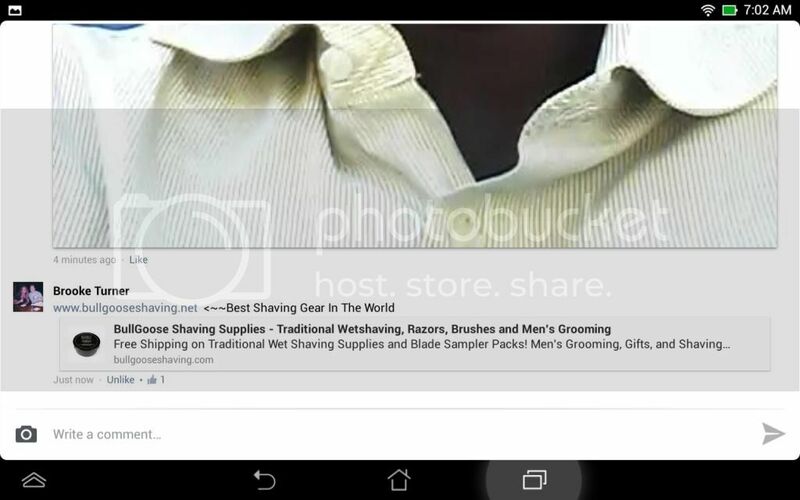 Some dude wrote in the comments,,... "Is shaving really that hard?" I'm missing something........and feeling real stupid about it too. (10-07-2014, 01:39 PM)Mouser Wrote: I'm missing something........and feeling real stupid about it too. 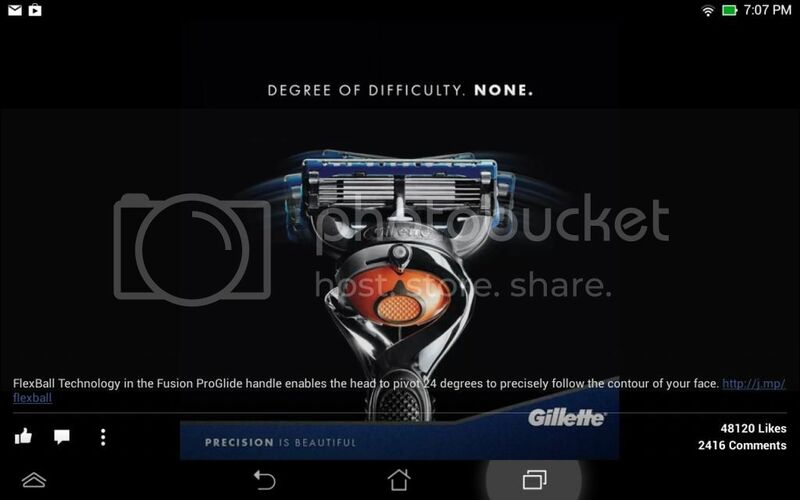 Just using some of Gillette's own advertising against them in favor of Phil and the Nook. I'm so glad that I never signed up with that facebook rubbish. I realize that I may be missing some "bigger picture" point or overarching social trend or whatever, but I couldn't be happier about that honestly. Got them again today on an ad for aftershave goop. (10-07-2014, 03:59 PM)Stubbl E Wrote: I'm so glad that I never signed up with that facebook rubbish. I realize that I may be missing some "bigger picture" point or overarching social trend or whatever, but I couldn't be happier about that honestly. The big picture is on Twitter. Facebook is more friends and family. i must be thick - i don't even get a tiny bit of this puzzle*. my social media is this forum. *edit: what did gillette post on your facebook? I've made it this far in life with contacting people directly when I would like them to know something. I think it should be possible to make it the rest of my life doing the same. Don't need people knowing every detail of my life. Don't need my life searchable and giving demographic information for free.